8:22 am / Mar 27 What do we need to Know about Context Driven Testing? What Do Software Testers need to know about BlazeMeter? 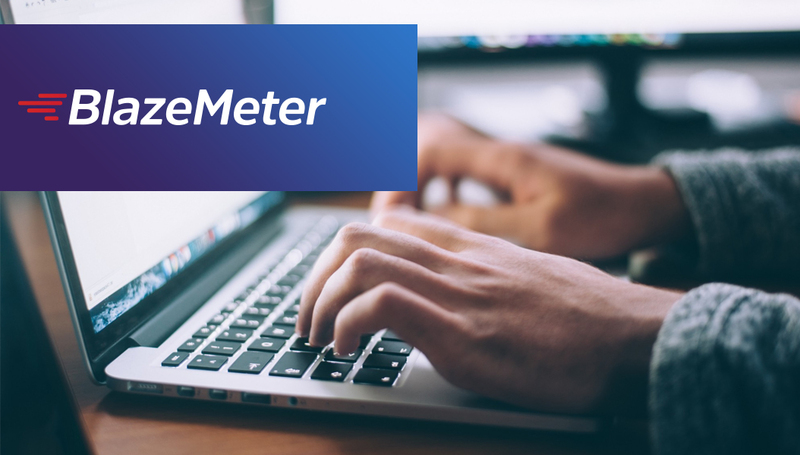 As a cross-platform and portable performance testing tool, Apache JMeter helps testers to assess performance of various applications, servers, and protocols by simulating varying user load. The testers even have option to extend the core functionality of JMeter by integrating it with compatible software testing tools and frameworks. BlazeMeter provides cloud-based performance testing solutions which are fully compatible with JMeter. The testers can use BlazeMeter as a load testing platform as a service (PaaS). They can even integrate BlazeMeter with JMeter to create large-scale user loads and conduct performance testing in the cloud. The features provided by BlazeMeter further helps testing professionals to measure performance of web applications, web services, mobile apps, and database applications by simulating a large number of concurrent users simultaneously. JMeter enables testers to measure performance of various applications, servers, and protocols. The testers can use BlazeMeter to measure performance of application programming interfaces (APIs) and mobile apps, in additional to web applications and database applications. They even have option to reuse and execute the existing JMeter test scripts as functional API tests. BlazeMeter further enables testers to measure the performance of the software more efficiently in the cloud. The testers can integrate BlazeMeter seamlessly with widely used software testing tools like Selenium, Grinder, Locust and Gatling. They even have option to unify multiple tests and run them as a single test while maintaining granular reporting. At the same time, BlazeMeter allows testers to control various aspects of a test – threads, arrival rate, hits per second and test scenarios – in real time. Hence, it becomes easier for testing professionals to produce more accurate and reliable performance testing results. The features provided by BlazeMeter make it easier for testers to real-time traffic from various devices. The testers can use the secure proxy provided by the tool to capture all requests coming to the JMeter script. They can even use a Chrome extension to record browser actions to the JMeter script. The automatic script converted provided by BlazeMeter simplifies the process of converting existing test scripts into new files and scripts. These options help testers to measure the performance of web applications and mobile apps across multiple devices. Nowadays, users access web applications and mobile apps on varying networks and internet connections. Hence, the testers need to simulate many network conditions to measure the performance of an application accurately. BlazeMeter Network Emulation makes it easier for users to produce accurate test results by simulating real-time network conditions. The testing professionals can even test performance of applications under real network conditions simply by customizing the load profile. JMeter allows users to generate test results as tables, trees, charts or log files. BlazeMeter makes it easier for users to identify the performance bottlenecks by generating test results as interactive graphs. The developers can even assess the performance of an application efficiently based on key metrics like bandwidth consumption, errors, and response time percentiles. The Comparison Report feature of the tool further helps testers to track trend from multiple builds of the same application over a period of time. The users can monitor the performance of web applications and mobile apps consistently by integrating BlazeMeter with various delivery pipelines and monitoring tools. They can integrate BlazeMeter with popular monitoring tools like AppDynamics, CloudWatch and Dynatrace to strengthen performance testing metrics and detect source of performance bottlenecks. Likewise, the Software QA testers can run performance tests continuously by integrating BlazeMeter with several continuous integration (CI) tools including Jenkins, Teamcity, Bamboo and CricleCI. BlazeMeter is designed specifically to meet emerging software testing trends like DevOps. It comes with features to accelerate performance testing of a variety of software applications and systems. At the same time, it enables testers to create performance tests of varying loads by taking advantage of cloud technologies. It still allows testers to run the performance tests both on-premise and in the cloud. The testers also have option to choose from cloud services provided by Google, Amazon, and Microsoft. Likewise, they can simulate thousands of concurrent virtual users from various geo-locations. The scalability makes BlazeMeter over conventional performance testing tools. However, BlazeMeter, unlike JMeter, is not open source and free. But the users have option to choose from four distinct editions – free, basic, pro, and enterprise – of the cloud-based performance testing tool. The various editions of BlazeMeter differ from each other in terms of concurrent users, tests per year, and load generators. Hence, the users need to choose the right version of JMeter according to their precise needs to avoid incurring additional expenses. What are Limitations of Selenium? How to Develop a Test Automation Strategy?